Sam Mendes, director of the latest Bond film Skyfall, has revealed that he will not direct the next installment of the series. Sam Mendes told Empire Magazine it was a “very difficult decision”. The director, who is currently working on a stage production of Charlie and the Chocolate Factory, says his current work needs his “complete focus over the next year and beyond”. 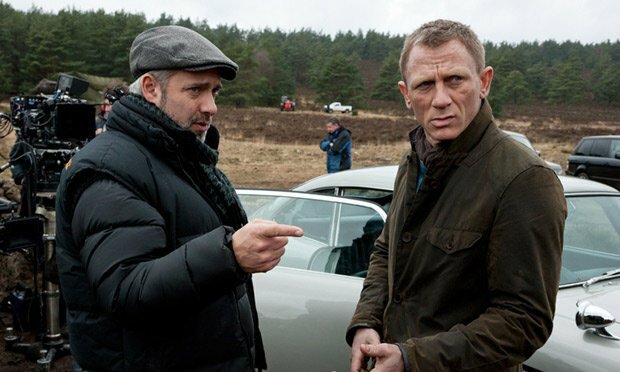 Sam Mendes added he had not ruled out the possibility of returning to the 007 franchise in the future. “I feel very honored to have been part of the Bond family and very much hope I have a chance to work with them again,” he said. The Oscar-winning director picked up the outstanding British film award, for Bond’s 23rd outing, alongside producers Michael G. Wilson and Barbara Broccoli at this year’s BAFTAs. “It has been a very difficult decision not to accept Michael and Barbara’s very generous offer to direct the next Bond movie,” explained Sam Mendes. There had been doubts about whether the director would make a second Bond film after he described Skyfall as “completely exhausting”. “I felt like everything I wanted to do with a Bond movie, I put into this film,” Sam Mendes was quoted as saying last year. Michael G. Wilson and Barbara Broccoli said in a statement that they hope to work with the director again in the future, adding they “completely respect his decision to focus on other projects”. Screenwriters Neal Purvis and Robert Wade, who have worked on five installments of the series, have also revealed they are quitting the franchise. Speaking during an appearance at the fourth Doha Tribeca Film Festival in November 2012, Robert Wade said that screenwriter John Logan had been working with Sam Mendes on a follow-up to Skyfall. Skyfall became the highest-grossing movie in UK box office history in December. To date, the film has earned £102.8 million ($165 million) in the UK and Ireland.